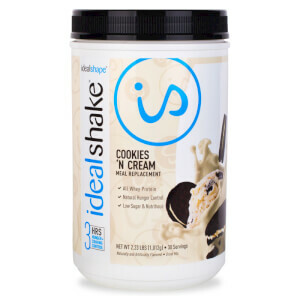 Find out what makes IdealShake the best meal replacement shake on the market! Meal Replacement Shakes serve many purposes--including weight loss. You can switch out up to two meals per day with a meal replacement shake. This will help you lose weight by controlling your caloric intake. The best meal replacement shake for weight loss will have some specific things. IdealShake is a superior meal replacement shake. Why? Because of what’s inside! The best meal replacement shake will have a combination of protein, carbs, and fat. Watch those macros, because you want a meal replacement shake with a small amount of fat. Poor meal replacement shakes taste chalky and don’t blend together very well--IdealShake is the exact opposite. With a smooth, creamy texture that blends up in water, almond milk, or a smoothie, you will know you are getting the best weight loss shake on the market at the first sip. When choosing a meal replacement shake, you want to watch how many calories you are drinking. The shake is meant to replace a complete meal which will help you watch your caloric intake. 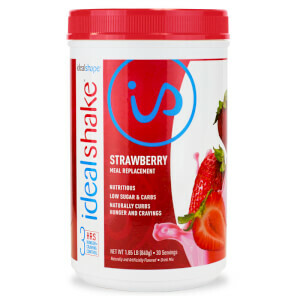 IdealShake flavors have 110-120 calories per serving which is great for weight loss goals. The best diet shake will keep you full by using a hunger blocker. Most shakes use a small amount of fiber to try to control hunger, but ultimately fiber alone is not enough to sufficiently block hunger. Find a meal replacement shake with a hunger blocker. IdealShake uses a hunger blocking blend that includes Slendesta, a potato protein proven to block hunger for up to three hours. With more than 10 tasty flavors to choose from, you’ll never be bored with IdealShake. Weight loss has never been so delicious! 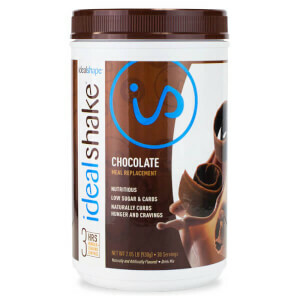 IdealShake is our choice for the best meal replacement shake on the market--try it out here and see if you agree. 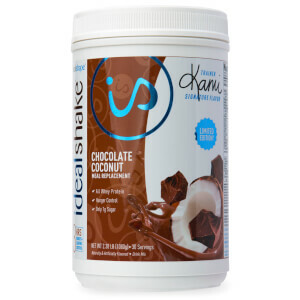 If you’re looking for more weight loss tips and tricks, check out Trainer Kami’s 15 Day IdealShape for Life Challenge. You’ll get free workouts, meal plans, and expert tips designed to help you lose weight.